Neeraj Mital is a futurist writer, speaker, technology consultant and President of Visions of Future. He is a past president of Sofnet Technology, Inc., an IT consulting company. 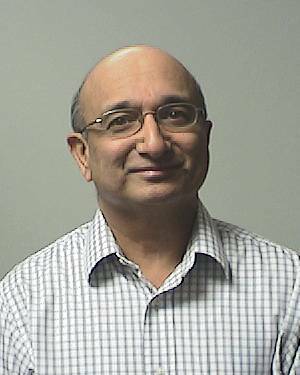 Back in 80s, Neeraj worked for a number of years researching and developing Intelligent Control Systems for Process Industries. One of the areas of work involved merging of artificial intelligence with conventional control systems to add intelligence to factory automation. Passionate about envisioning a better future for mankind, his writings include diverse topics like spirituality, religion and philosophy, morality, human relations and how these concepts will shape up in future as we see astronomical advances in technology. Neeraj loves the game of bridge and has done lot of reading and research on this game. One of his publications deals with using Fuzzy Logic to design an AI based system to play bridge. Other interests include Indian classical and folk music, table tennis, and not the least, brisk walk on trails which has been the source of lot of his writing ideas. Member of World Future Society, Neeraj has often been a presenter at its annual conferences.